Financial and Estate Planners are expected to provide sound, well-informed advice.Aspen Appraisal Group (AAG) has worked closely with a long list of financial and estate planners over the years to assure we have the information needed to develop the best and most effective strategies for our clients. Real estate holdings are often at the center of solid financial planning, as they’re usually the client’s largest assets. Whether it’s an appraisal for a single property or multiple appraisals for an entire portfolio, we understand the process involved. Because of our vast knowledge of Utah real estate, we’ve provided appraisals for estate planners throughout the Wasatch Front for a variety of trusts, estate purposes, tax planning, asset update purposes, and more. 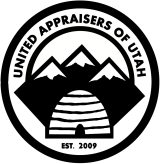 Over the years, we at Aspen Appraisal Group have distinguished ourselves as one of the premier providers of appraisals for estate and financial planning for Utah real estate, specifically, Davis, Salt Lake, Utah, Summit, Wasatch, Uintah, and Duchesne counties. We’re acutely aware of the detail, skill, and attention necessary to properly value these types of properties. We also assure complete discretion and are sensitive to the needs and privacy of those who reside in these homes. For a senior transitioning into retirement years, it’s also important to get affairs and estate in order, which includes knowing the value of any and all properties. There’s no reason to feel overwhelmed during this process—we do our best to fully explain the appraisal process up front, and to answer any questions once the process is complete. Estate planners throughout Utah have come to rely on the appraisal services of Aspen Appraisal Group to create the foundations of sound financial planning for their clients.